432 pages | 1 B/W Illus. The seventh edition of this highly successful textbook analyzes the history, evolution, and processes of national security policies. It examines national security from two fundamental fault lines - the end of the Cold War and the evolution of contemporary terrorism, dating from the 9/11 terrorist attacks and tracing their path up to ISIS and beyond. The book considers how the resulting era of globalization and geopolitics guides policy. Placing these trends in conceptual and historical context and following them through military, semi-military, and non-military concerns, National Security treats its subject as a nuanced and subtle phenomenon that encompasses everything from the global to the individual with the nation at its core. An assessment of the impact of the Trump presidency on national security and relevant domestic policies, including border security and energy security matters. The continuing impact and evolution of terrorism as a security problem, with notable emphasis on the decline of IS and what terrorist threats are likely to succeed it. A description of the cyber security problem with an emphasis on Russian efforts to interfere with the 2016 U.S. presidential election and beyond. A revised delineation of the geographic and substantive challenges facing the United States in the form of a chapter on "lethal landscapes," emphasizing the rise of China as a global rival and opponent in Asia and an attempt to deal with state aspirants like the Kurds. This book will continue to be highly beneficial to students and scholars working and studying in Security studies, Military and Strategic studies, Defence studies, Foreign Policy, US Politics and International Relations. Donald Snow offers a compelling approach to understanding the complexities of US national security. By moving beyond worst-case threat analysis, he grounds foreign policy in American domestic politics to reinvigorate thinking on the future of national security. I recommend the new edition of National Security without reservation. It is a readable and informative text, and students find it useful and engaging. In addition, Donald Snow’s use of contemporary as well as historic examples opens the door for many meaningful classroom discussions. I find the text essential in the discussion of the complexities surrounding the study of the politics of US national security issues and list it as required reading every semester. Dr. Snow has once again delivered a text for its time. Rather than focusing on the institutional aspects of national security, he looks at the real issues of national security in a post–Cold War, post–9/11 world. The strong connection he makes between domestic politics and international threats goes beyond the normal "guns v. butter" debate. I am looking forward to the publication of this book so that I can adopt it for my courses. 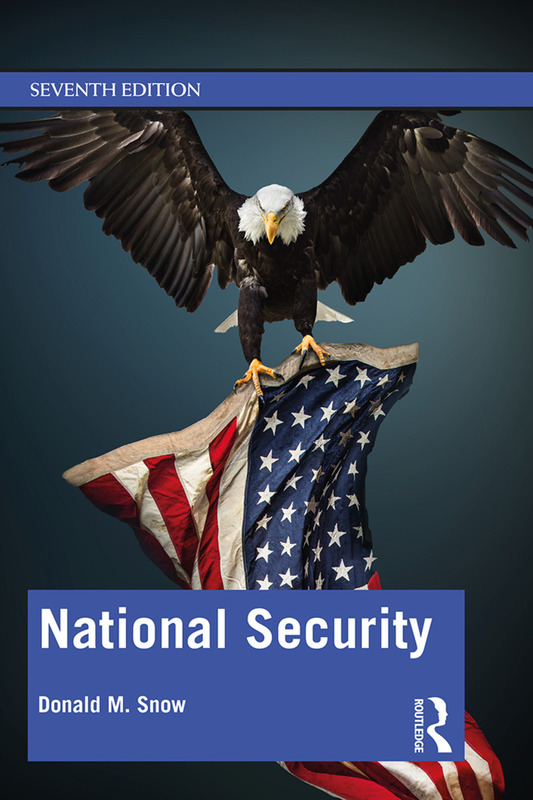 This book offers readers an excellent introduction to national security. It skillfully combines a clear conceptual framework with thorough applications to both historical and contemporary security challenges. The book carefully guides readers through the abstract logic of interests, power, security and domestic politics, before examining the concrete manifestations of these concepts in the context of US national security from the early days of the nation to the post–9/11 world and the rise of the Islamic State. Donald M. Snow is Professor Emeritus of Political Science at the University of Alabama, where he specialized in international relations, national security, and foreign policy. He has also served as visiting professor at the U.S. Air, Army, and Naval War Colleges and the U.S. Air Command and Staff College.